Double deep pallet racking utilizes one row of standard pallet racking behind another, enabling 2 or 4 pallets deep to be stored using aisles. 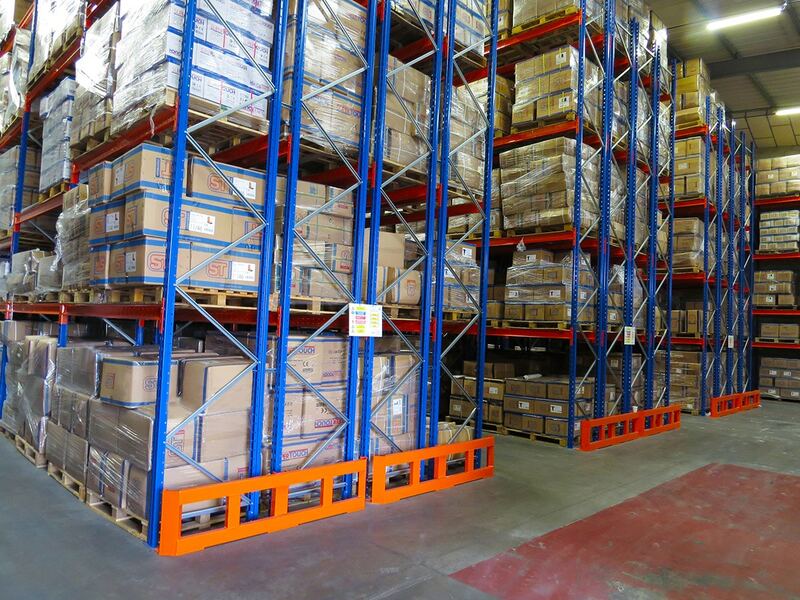 Double deep pallet racking solutions require a specialised truck having telescopic forks, which enables the operator to place the back pallet onto the system first, and then place another pallet in front. Double deep pallet racking can operate within aisle of 2500mm, and is ideally suited for the storage of multiple pallets.